Jorgen Persson became World Champion for the first time in 1989 in the team event. 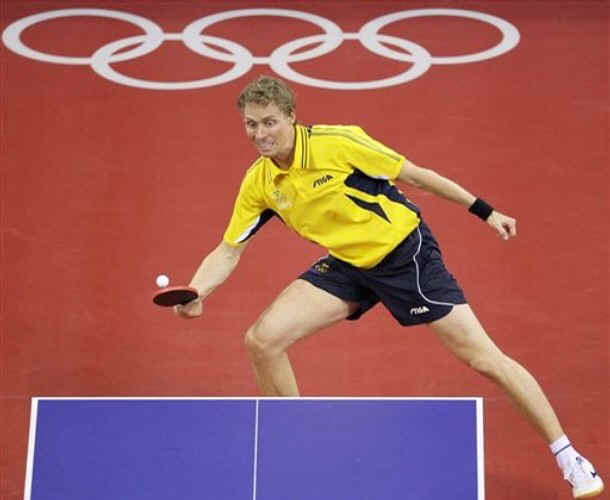 Along with Jan-Ove Waldner and Mikael Appelgren, Sweden defeated China 5-0 in the World finals creating a changing of the guard in table-tennis. 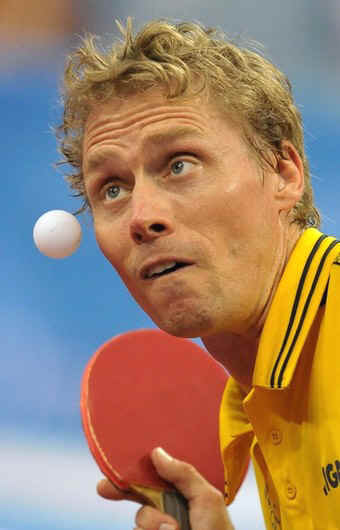 In 1989, Persson also made the World Men's Singles final losing to Jan-Ove Waldner 3-2 in the finals. Two years later, the two met again in the Worlds final with Persson coming out on top. Sweden became World Champion in Team in 1989, 1991, 1993, and 2000 which were all during Persson's national team tenure. In 1986, Persson became European Men's Singles Champion. 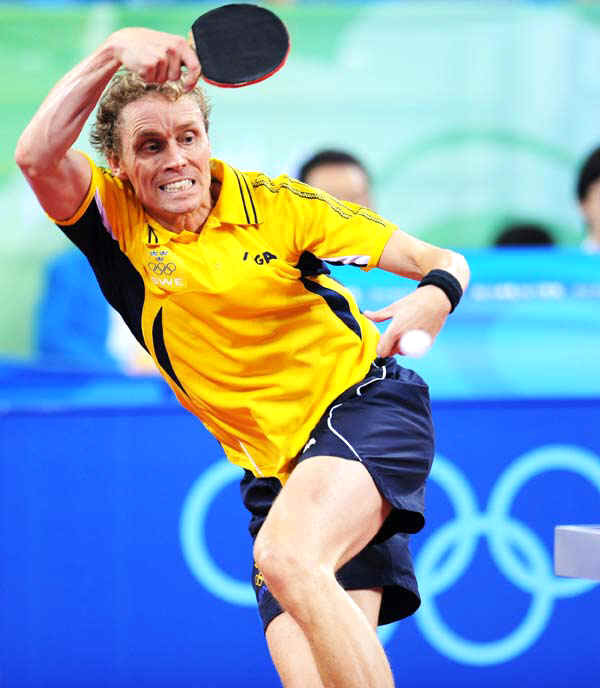 He has been coached by 1971 World Champion and 2007 Northern California Table Tennis Camp Coach Stellan Bengtsson throughout his table-tennis career. During 2005, he quit his playing career and coached in Qatar but after one year of coaching, he soon came back to playing and stopped coaching. NorCal Table Tennis: What keeps you going at 41? Jorgen Persson: The Olympic Games. NorCal Table Tennis: What goals do you have left? Jorgen Persson: I want to win a medal in the Olympic Games. Now, there is a team event so it's different. NorCal Table Tennis: What caused you to try a coaching career and what brought you back to playing? Jorgen Persson: Coaching was a good experience but when I was coaching, I wanted to play 50% and wanted to coach 50%. One year off playing helped increase my motivation to train more when I came back to playing. NorCal Table Tennis: Which accomplishment are you most proud of? Jorgen Persson: When I was a kid, I wanted to be European Champion and World Champion. Table-tennis was not an Olympic sport during my younger years so I didn't have the Olympics goal. I was able to accomplish my childhood dreams. NorCal Table Tennis: What advice do you have to a kid who wants to be World Champion? Jorgen Persson: Practice hard and develop your own style. You should have your own thinking and not just do everything the coach says. NorCal Table Tennis: What advice do you have for the US to be better? Jorgen Persson: To use Stellan Bengtsson! He has a lot of knowledge. Also, it's important for everyone to have the same goals and have small goals in the beginning.